The Velocity Harness is an entry level harness, and also, one of the most popular harness models. It is designed to present a clean professional look on the job. 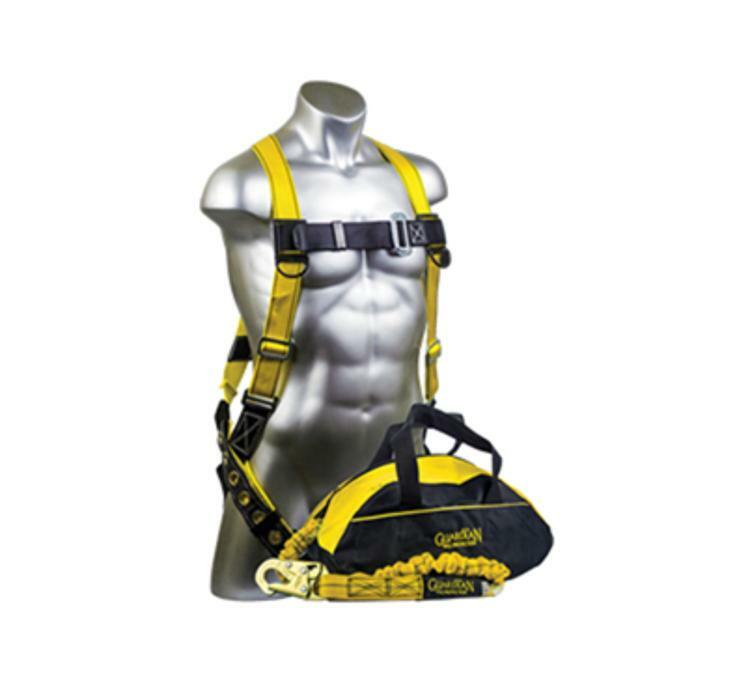 The most unique feature of this harness is its webbing wear indicator, which allows you to easily recognize damage. The Internal Shock Absorbing Lanyard is comprised of heavy-duty outer polyester webbing with a polyester core specifically designed to reduce the impact forces resulting from a fall. Because the shock absorption is built directly into the lanyard there is no need for an external shock absorber, making the Internal Shock Absorbing Lanyard a particularly lightweight option.